Welcome to the Affiliate Center for Buildium.com. Here you can reference the program’s terms and stay up on important updates. Buildium is the only property management solution that helps real estate professionals win new business from property owners and community associations seeking services. Backed by expert advice and relentless support, Buildium enables you to outperform across all facets of your business with intuitive software that balances power, simplicity and ease of use. Buildium services more than 12,500 customers in 46 countries, totaling nearly one million residential units under management. 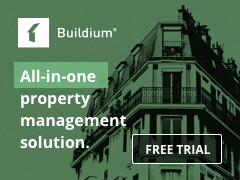 In 2015, Buildium acquired All Property Management, a leading online marketing service for property managers, making Buildium the only company to give property managers a way to acquire new customers and increase revenues. For more information, visit www.buildium.com, and connect with us on Twitter, LinkedIn and Facebook. OK. We admit it. Most people don’t get excited about property management software. Maybe it’s because their software looks like it was written before Microsoft hired the Rolling Stones to announce Windows 95 or maybe it’s because they’re tired of software issues. Whatever the reason, more people are looking for online property management software and more people are choosing Buildium. Forget about those other affiliate programs that only pay you a few dollars per lead. With Buildium, you’ll get paid for qualified leads plus you’ll earn 25% in recurring commissions for each monthly subscription that comes from your website. With monthly plans at $124.99 per month and more, things just got a lot more interesting. We sign customers up and handle all of the customer service. All you need to do is place Buildium-approved links and banners on your website. When customers come to us from your website, we pay you for the lead and the sale. You can even track your sales and commissions whenever you want. It’s that simple. Anyone with a website and an interest in offering property management software can apply. Please note while anyone can apply, we look for affiliates that will actively sell our software and have websites or blogs that are relevant to our customers. Examples include sites about real estate, real estate investing or property management. PPC Terms: Trademark terms are prohibited. Trademark + Keyword and direct linking are allowed.